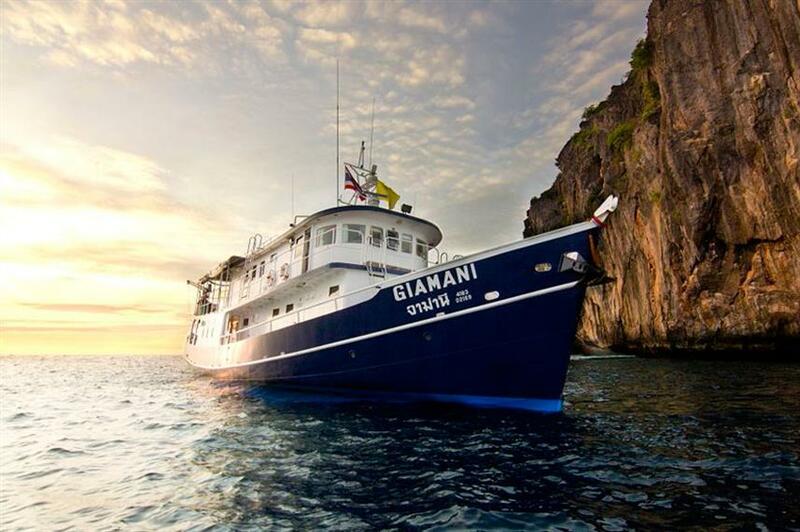 The 24m MV Giamani Liveaboard, Thailand, is a Phuket based liveaboard offering scuba diving trips from 2-6 nights, giving you great flexibility. 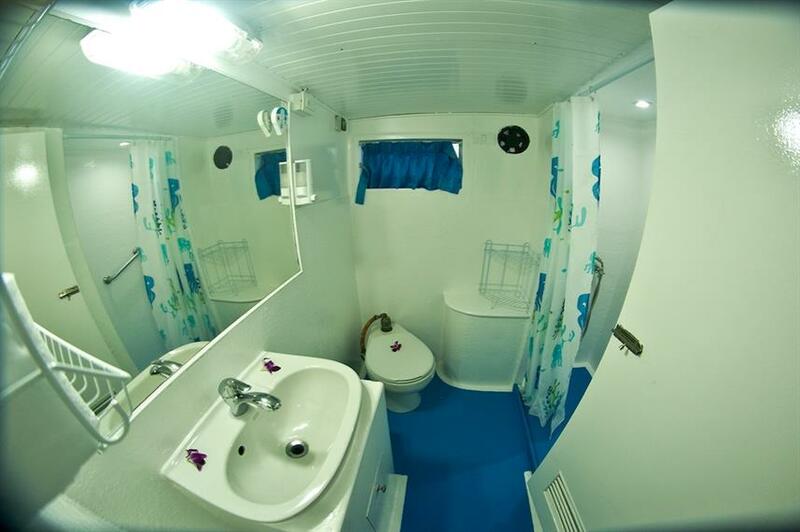 With only 5 air-conditioned, en-suite cabins each with a mini-fridge, the MV Giamani caters to only 10 divers, assuring a personal service and plenty of space on board. 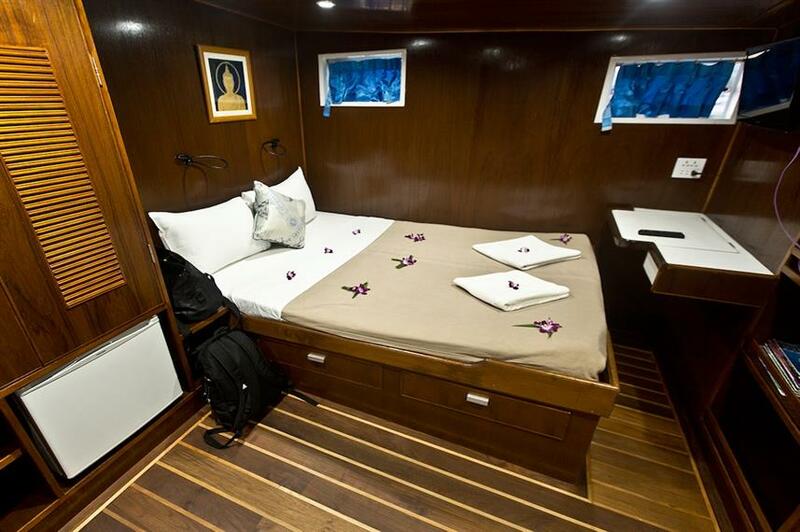 The air-conditioned salon is perfect for watching a movie, checking out your digital images of the day or browsing the marine life library, and the popular cushion relax area will ensure your diving liveaboard trip is an enjoyable one. 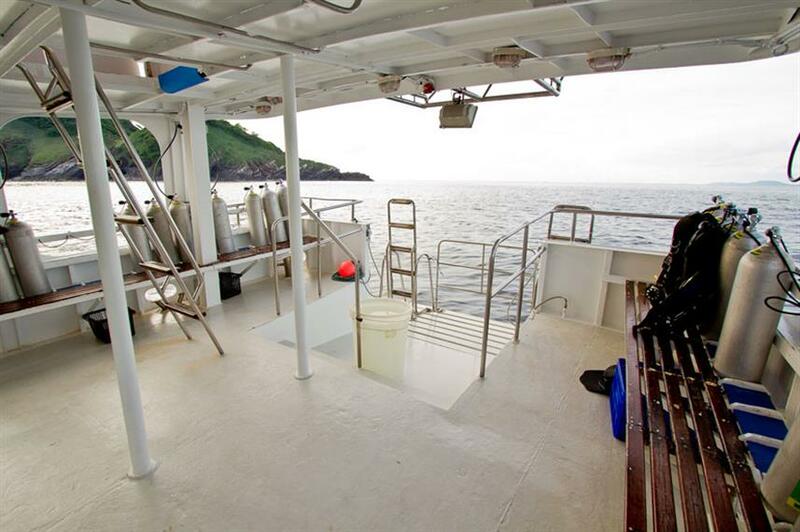 The M/V Giamani also has a spacious dive deck with a camera table and rinse tank to cater for underwater photographers. 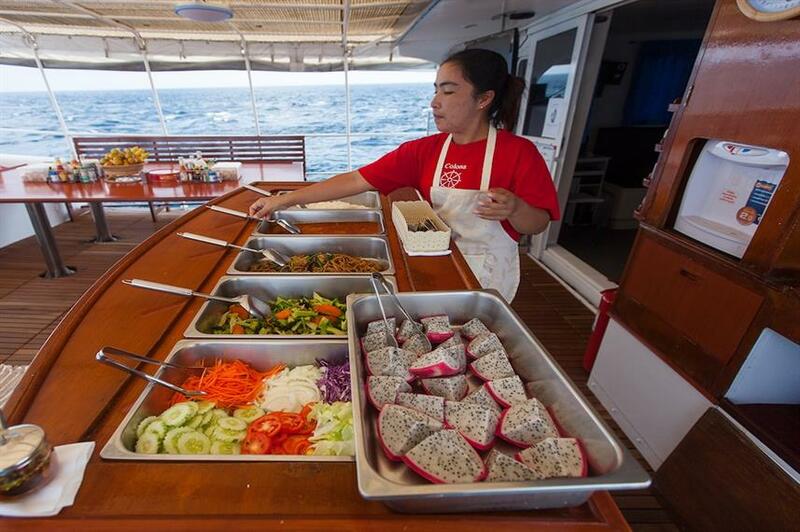 All meals will be served buffet style on the main deck, and are plentiful, delicious and diverse, offering both Thai and International cuisine. Special diets can be catered for with advance notice. 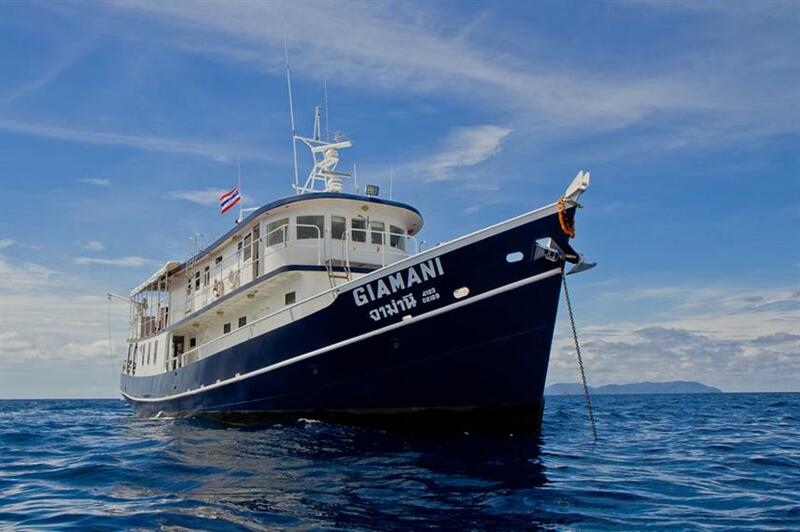 As you explore some of the best diving that Thailand has to offer you can rest assured that the crew of the M/V Giamani Liveaboard will help you to create a diving holiday to remember. 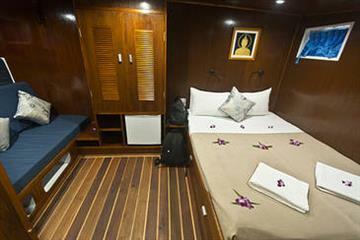 Reserve online or call us to book your scuba diving liveaboard vacation in Thailand today. 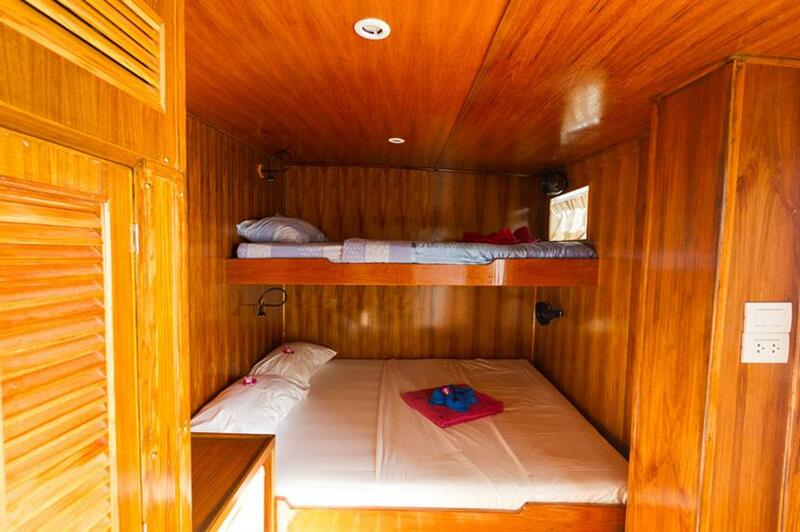 Included: VAT, Drinking Water, Soft drinks, Soft Drinks at Meal Times, Tea & Coffee, Full-Board Meal Plan (All meals), Half-Board Meal Plan, Snacks, Diving Package, Land Excursions, Snorkeling Guide, Beach Towels, Cabin Towels, Deck Towels. 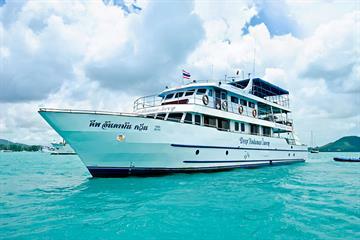 Required Extras: National Park Fees (700-1,800 THB per trip), Private Dive Guide (2,500 THB per day). 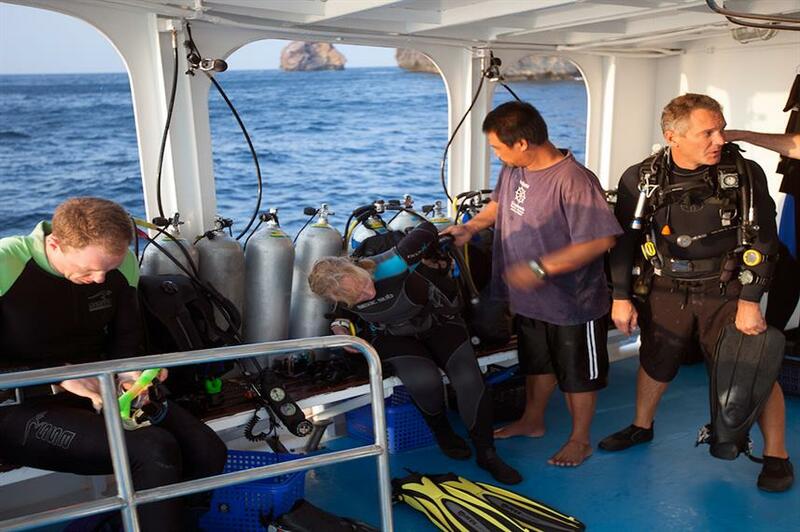 Optional Extras: Dive Insurance (300 THB per day), Gratuities, Airport Transfer, Hotel Transfer, Local Flights, Alcoholic Beverages (80 THB per item), Alcoholic Drinks at Dinner, Wine with Dinner (100 THB per item), Extra Dives (1,500 THB per activity), Nitrox Course (8,900 THB per activity), Rental Gear (800 THB per day), Scuba Diving Courses. Close encounters with mantas. Unfortunately me and buddy did not have the change to dive with the manager and main dive master. We were assigned the freelance dive instructor. It would be good to rotate them for fairness. The wreck dive, the food, the scenery, the organization of the entire experience. However, I had some issues with the diving. I was doing the advanced certification, and while Ricardo is incredibly experienced and confident, I didn't feel he made sure I was comfortable at every step of the way. 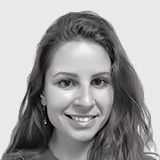 He made a lot of unilateral decisions and I didn't feel I had the opportunity to push back or ask questions so that I felt comfortable with each step. I did feel safe, however, as Ricardo is a dive master to the extreme. I just think he's so confident that sometimes he forgets how new it can be for us beginners. 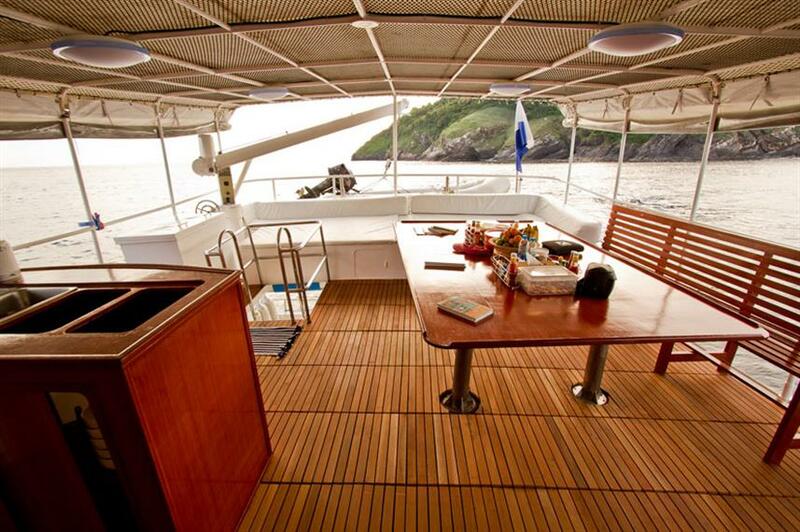 Guides and crew are very hospitable! Place was very comfortable. Dive sites are awesome. 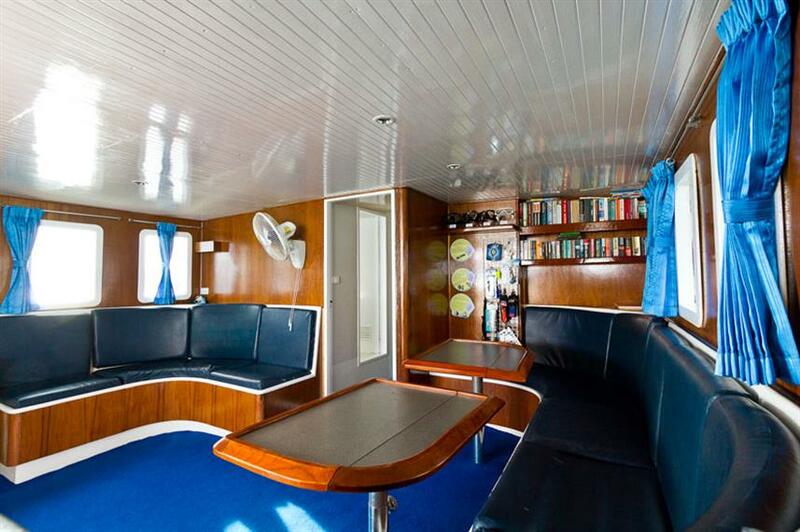 Had an absolutely wonderful liveaboard experience. 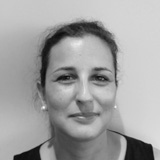 The crew has been together for years and are a well-oiled machine and adept at handling any and all experiences. 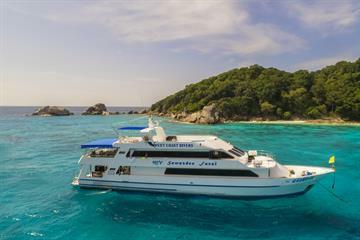 The boat was immaculately maintained, the private chef provided a plethora of culinary options, and the dive sites were fantastic. We dove a wide range of caves, caverns, ship wrecks, and multiple reefs and are leaving better divers and more in love with scuba diving than before. 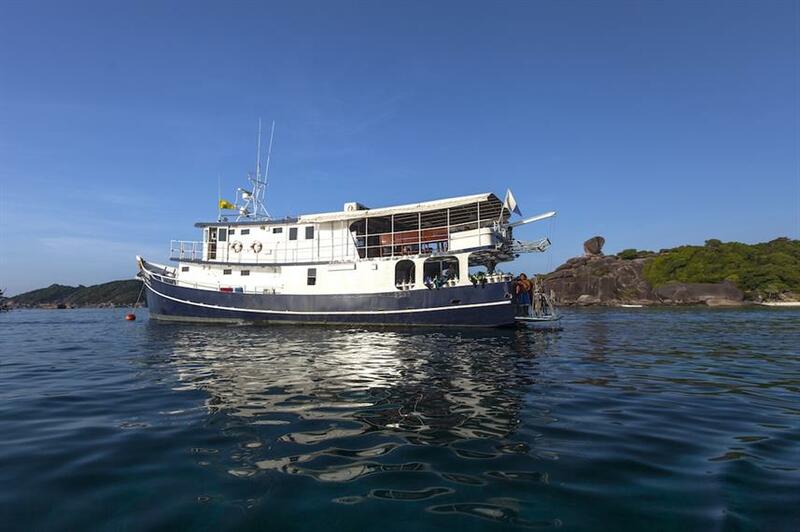 We could not have had a more positive experience and we will absolutely be back to dive again and extend our time on this boat and have already recommended this boat and experience to other divers. Seeing the whale shark circle around us for a length of time when diving a wreck. Diving sites were beautiful and the timing of the trip was great because we saw plenty of aquatic life including mantas and whale sharks. The crew was just amazing and the food and chef... wow! The boat itself is just adorable! Thanks for an amazing experience! We highly recommend this trip and most likely we will join this trip again! Professional dive guide and kind boat crew. 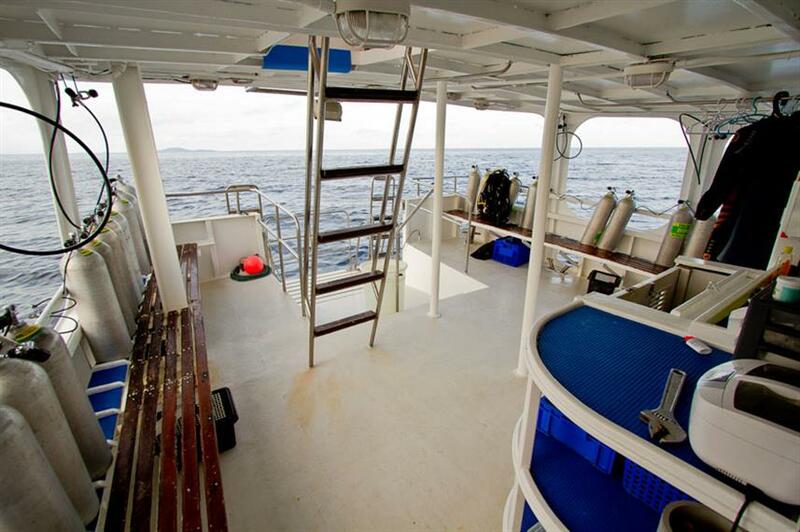 It’s a very fruitful diving trip having being seeing many marine life. In the meantime, it’s also very educational. The dive guide gave thourough briefing before each dive, letting you know the geography of the dive site and sometimes with little history behind. Underwater, you know you are very safe. The dive guides are always watching your back, reminding your to check the air and the depth. Overall, I love Giamani. They care about both your dive experience and safety with fair price. Though I enjoyed my trip and highly recommend the crew of Giamani, for me there weren't really any highlights. The dives were hit or miss, some were above average, others below. I was feeling a bit under the weather throughout the whole trip though, spending the first night on the toilet lol. I came on the boat with a stomach bug so it wasn't the fault of the boat. Meals were abundant and delicious, despite my poor appetite. Only constructive criticism would be that I'd wished the dive guides would check the divers' credentials. One diver in my group I felt was less experienced and he made some of the dives less pleasant. I remember slowly proceeding through a vertical swim through and all of a sudden having someone push me forward. I think he started to panic and wanted out of the tight surroundings. Not cool though. He also used up his air relatively fast. Pairing the divers with similar diving skills would've rectify this situation. 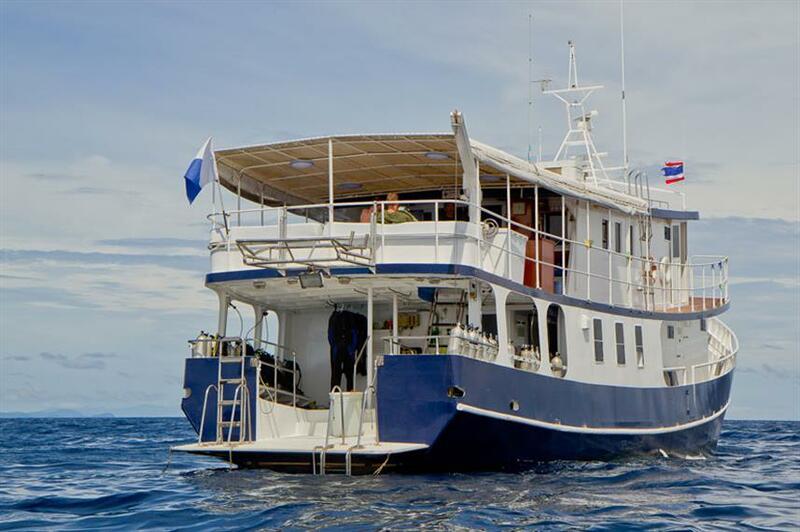 Very good dive sites The crew from the boss to the dive guide from the boat boys to the cook everyone is top professional, friendly and always prepared to do there best. 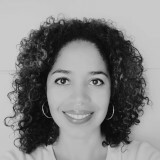 I was super happy for my trip with Giamani and I'm sure I will book with them again. Ricardo, Dave and Francesco were wonderful guides - they were knowledgeable, safe, friendly and professional. We had great food throughout the trip and loved the atmosphere on the boat. The small number of divers allowed us to have family-style meals and feel at home. The Richelieu Rock dive site was amazing. Small group people on the boat (max 10) and smaller groups when diving. Great service and judgement by crew (adjusting schedule to the weather conditions and considering different timing for dives on popular sites to avoid crowd) made the time on the boat fun and easy. Great personality of the dive instructors, who were well synch and approachable, always ready to explain and share tips and tricks with you. I was very cautious going on a liveboard with only 4 dives under my belt. As soon as I got there my ease was to put to rest. The dive instructors always have a great briefing per dive advised of the pros and cons and always ensure we never adventured out of it comfort zone. Ricardo the dive director was brilliant. 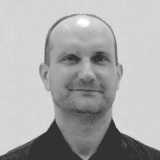 Such a friendly and fun guy, but very good and experienced in where to dive. The whole crew were so friendly and welcoming. 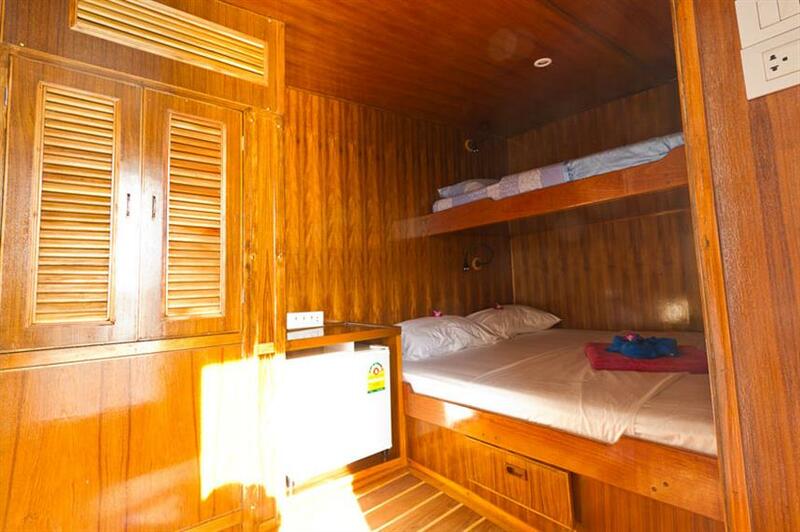 The atmosphere on the boat and the warm welcoming the crew gave you once you first step on board. The diving was amazing and the trip could no have been any better. 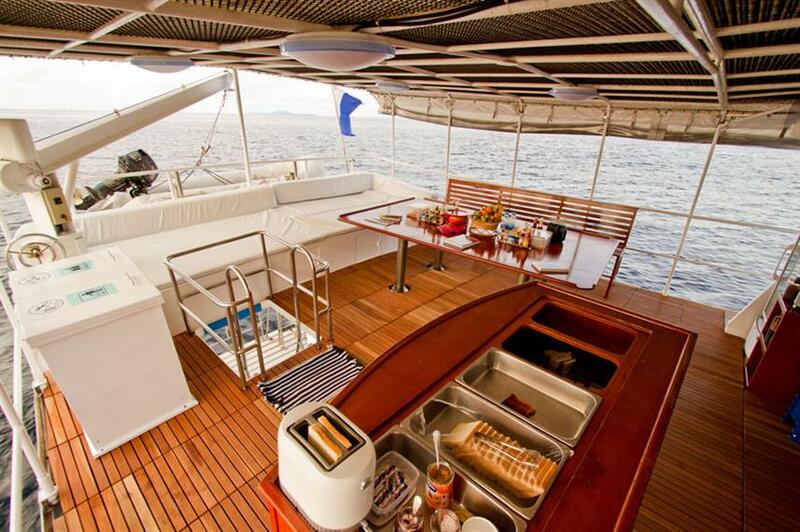 The great thing about the Giamani is that because it is a relatively small boat you are guaranteed almost exclusively dives, with small groups. The quality of the dive leaders is good, and their knowledge of the dive sites is exceptional. 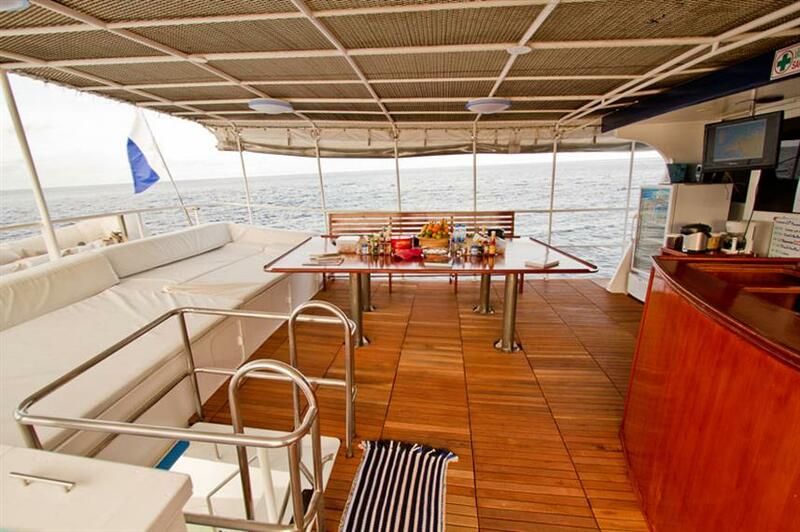 Nothing is too much trouble for any member of the crew who are all there to give you a fantastic diving experience. The food is great quality and plentiful, catering for all tastes. Richelieu Rock is an amazing dive site - truly a world top ten and at last being properly protected by the Thai authorities. Small diving group. Great dive guides. Well organised. Great trip that improved my diving skills! 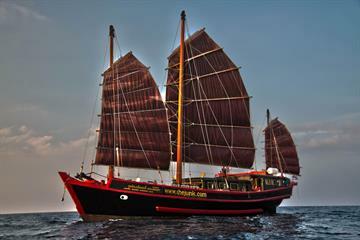 I had the 5-day Similan, Koh Bon, Koh Tachai, and Richelieu Rock trip. What a trip! Ric helped me improve my diving skills throughout the trip as I got the AOW certification. Meals and snacks were delicious and it was great relaxing on the sundeck after every meal and dive. Unfortunately, Koh Tachai did not meet my expectation, but other dive sites - Koh Bon and Richelieu Rock offered amazing scenes. The crew members and Van the dive guide were all friendly, as well. 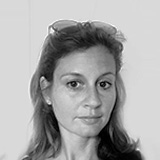 I'd recommend Giamani. 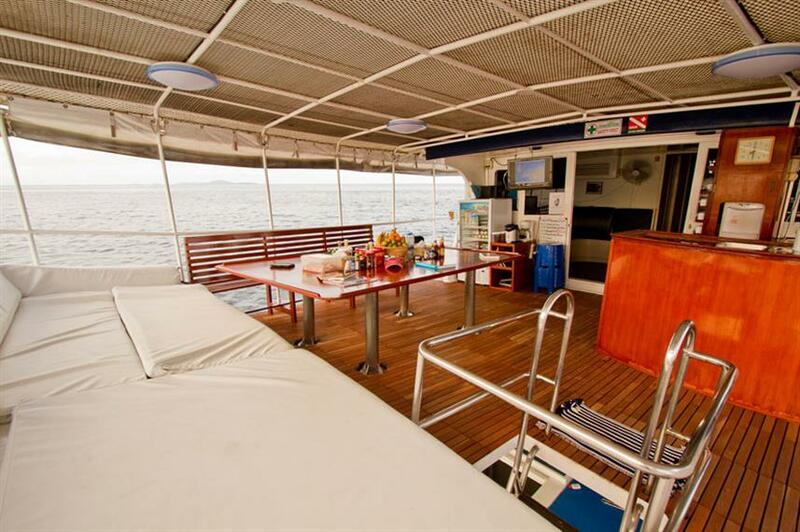 Great boat, great dive team, great crew, great diving, great food! What else could you want? We saw at least 80% of all the fish in the dive books. There is also loads of macro life, various shrimps, crabs, nudibrachs and a wide variety of corals. Great under water topography makes for interesting underwater scenery. Above water the dive team were professional, knowledgable, safe and great company in the evenings too. 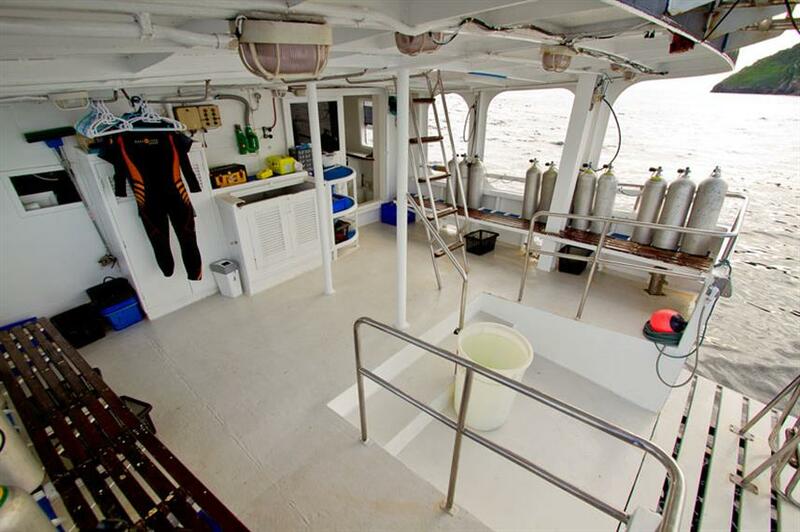 The boat crew tended to our every need, they even hang up your wetsuits at the end of each dive. Chef was fantastic and cooked a huge variety of quality food. Diving Hin Muang (purple reef) was the diving highlight. But really Ricardo, Thomas and everyone else on the boat were amazing and treated us like family. The food was great too -- fresh baked bread! Highly recommend. Even though we were to only ones to register for the trip they didn't cancel or change our itinerary so we ended up with a private trip for the same price! Everyone treated us like friends! We were actually very unlucky and had bad visibility for our diving but Ricardo managed to adjust and we had an awesome time anyway. 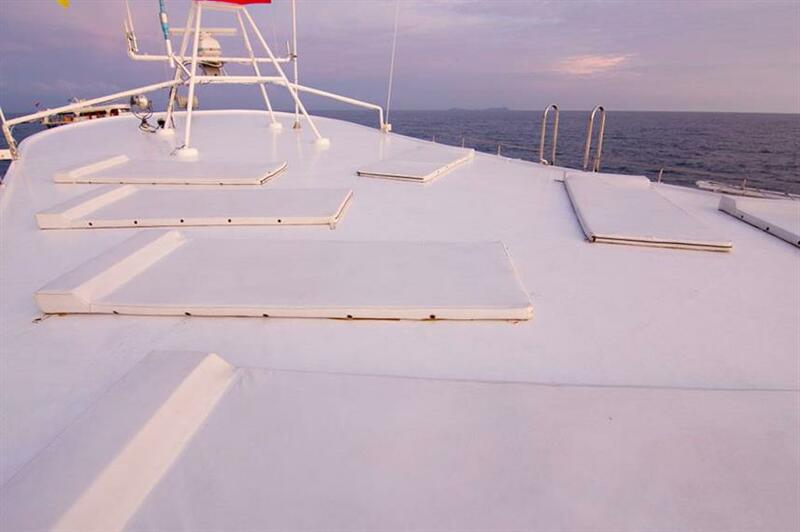 Great diving on a great boat! We are a family of 5 with children in their early twenties and went on a 5-day trip to Similan Islands and Richelieu Rock. 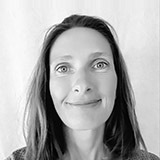 Having dived in some 15 countries around the world, we choose Thailand primarily for visiting family reasons and only had modest expectations for the marine life and the quality of the diving. How wrong we were! The abundance of marine life particularly at Richelieu Rock exceeds anything we've previously seen in Egypt, Indonesia or the Maldives. OK, the plankton was so rich that visibility suffered particularly at Richelieu below 15 meters. However, that's probably the price you have to pay for getting all these huge schools of so many large fish in addition to all the slugs and other small stuff. Also, visibility was better at the bolder structures of the Similans. 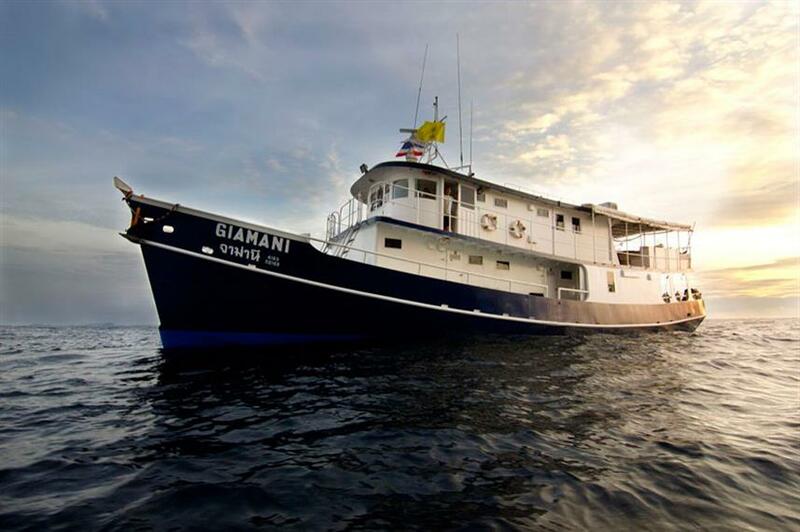 Being our first liveaboard trip we can only compare with our previous visits to dedicated dive resorts around the world and the Giamani experience came out very well in that comparison. Ricardo, Martino and Sini - the dive crew - was highly professional and knowledgable, the equipment held high standards and the Thai boat crew was both helpful and very competent. 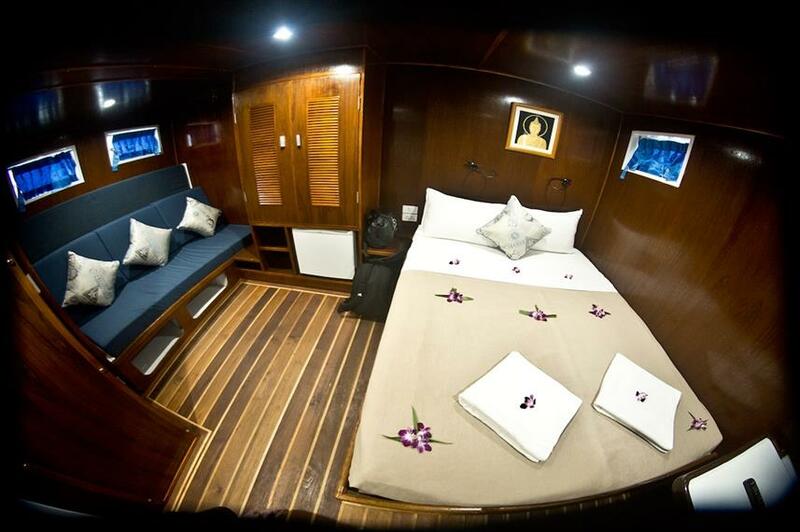 The boat was well maintained and of high standard and we were very happy that we had chosen a boat with a guest capacity of only 10, i.e. small enough that you could establish a friendly, casual atmosphere with everyone. The only slight negative comment regards the food. Not that it was bad, rather that it was mostly bland, probably in order to not offend anyone. Being great fans of Thai food it was a pity that the cook was so cautious with regards to the spices. On the other hand, the selection was wide at every meal and even the vegetarian members of the family had no problem finding alternatives. We are indeed considering another trip, possibly up to Burma and would certainly choose Giamani again. 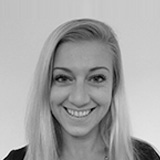 Highly professional and competent crew. 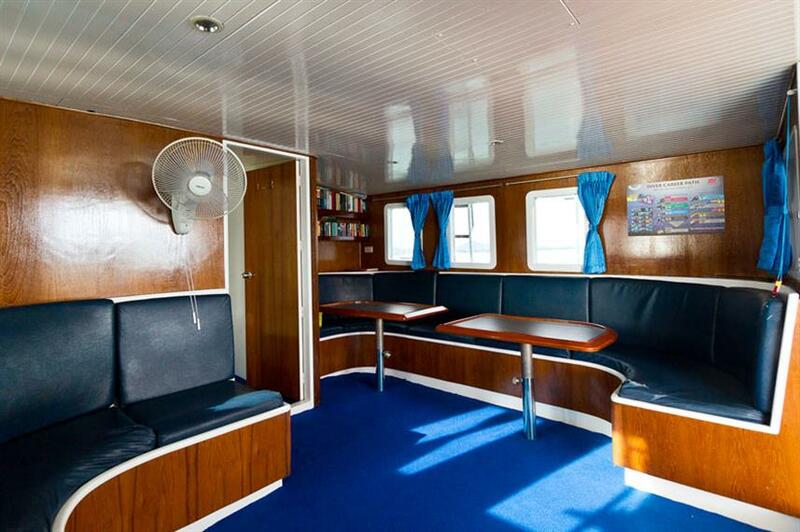 Well maintained boat of high standard. 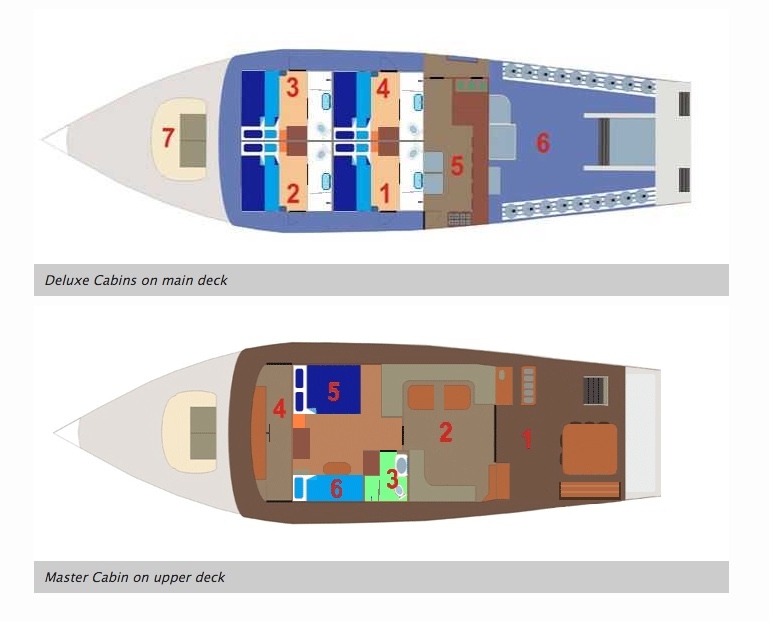 Great with only 10 guests onboard. We were probably unlucky with the big things, no sharks, no mantas. But crew, boat, and the nicety of the whole package more tha made up for it. Ricardo, Martino and Megan was outstanding, and Ricardo is a caracter you always dream of meeting. Richelieu rock and Koh Bon pinnacle. Crew. Boat.